The first immersion camps in Irish language and culture were organized in the Gaeltachtaí (Irish-speaking districts) of Ireland in 1901 and quickly became a corner-stone of the movement to preserve Ireland’s ancient Gaelic culture. It was here that students encountered the living culture, learned the language, the music and dance and returned home to share their learning and experience within their own communities. The importance of these camps in saving the culture from extinction is undeniable. 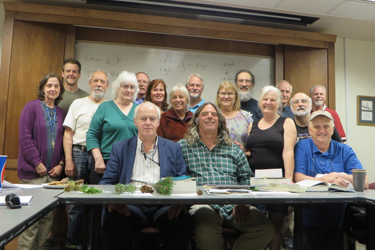 The course offered in Butte again this summer is designed to give students the same experience, with the hope that they in turn will help in the movement here in the United States to preserve and promote their ancestral heritage. The course will be offered at Montana Tech, in Butte. Butte was the entry-point for the majority of the Irish in the state. It was a town built by the Irish, for the Irish and has a distinct Irish flavor to it. The immersion course is held at Montana Tech. You can get directions by logging on to www.mtech.edu. For those of you flying in arrangements can be made to pick you up from the airport in Butte by contacting me at toriordain@hotmail.com with your name, flight number and time of arrival. The course offers both credit [two credits] and non-credit courses and is open to all who wish to learn the Irish language. The accredited courses are for beginners only. The main objective is to impart a conversational knowledge of the Irish language. Classes begin at 9:00am and continue until 4:30pm in the afternoon. There are lengthy breaks between classes so students can work together and study the material covered in each class. The evening time is reserved for the student to study or engage in recreational activities with their colleagues. There is a lot going on in Butte and many enjoy evening walks, investigating the old city, and visiting some of the many sites commemorating the history of the Irish in the town. Believe you me, you will not be bored! All classes are taught by fluent speakers and trained teachers from Ireland who have spent time in the United States instructing American students. They are very familiar with the challenges facing student in this country and are well able to assist in overcoming them. For those coming from out-of-state there is room Butte on the Montana Technical College campus. To view the facilities, please go to www.mtech.edu. For those of you not wishing to forsake the creature comforts for the dorm experience, then there’s the Hodgens Ryan Mansion. I would suggest booking early here, as it is just off campus, very comfortable and very reasonable. Since space is limited, we urge you to make your plans and reservations as soon as possible. The Digger Den is where all classes will be held. It is the second building on your left as enter Montana Tech. There is a door adjacent to the road that you will use to enter and exit the building. The rooms are very comfortable and well air-conditioned. Most of you will be staying in Centennial Hall, a modern student residence that is very clean, comfortable and safe. You’ll receive the key to your room on your arrival for registration on Saturday evening. There is no need to bring any sheets as bed linen is provided. Please remember to pick up your keys from Debbie Smith at the time of registration. As mentioned above, a course packet will be distributed on the Saturday night. All the material you’ll need will be in this packet. Classes proper begin on Sunday morning at 10am and will conclude that day at about 3:30. The weekly schedule begins at the earlier time of 9am and concludes at 4pm. There are three morning classes: 9 – 10:00,10:30-11:30 and12 – 1:00. There is a lunch break from 1:00 to 2:30 and afternoon session of two classes: 2:30 – 3:20; and 3:30 - 4pm. Students are expected to work together to learn the language; it is, after all, about communication. Working with someone will greatly encourage and help you to advance your fluency in the language. It greatly helps to ensure that Irish continues to be spoken outside of the classroom.